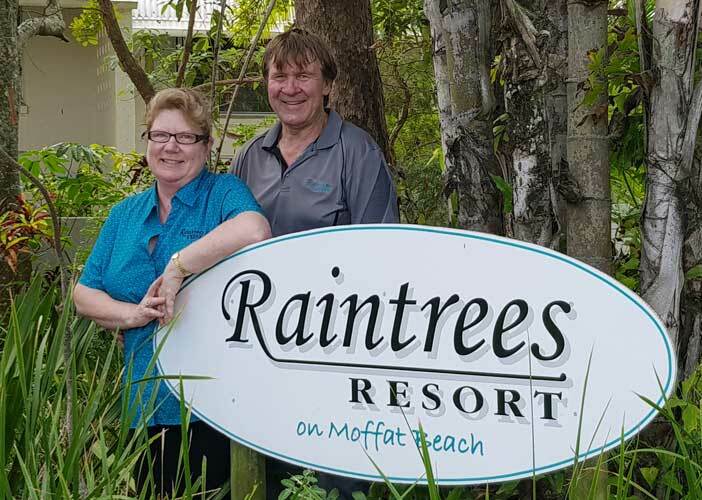 The on-site managers Sharon and Graeme are looking forward to your stay at Raintrees Resort. Dedicated to ensuring you get the best from your holiday you will be warmly welcomed and your needs catered for. 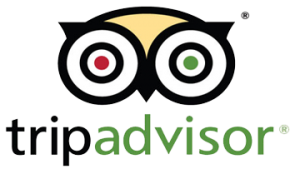 If there is anything special that you require for your stay please let them know and they will do their best to accommodate your request. Sharon and Graeme moved to the glorious Sunshine Coast having spent many years in South Australia and then Brisbane. In response to a calling for a more balanced lifestyle their journey led them to Raintrees Resort where they are enjoying sharing their little piece of paradise with their guests. Raintrees on Moffat consists of two and three bedroom spacious well appointed apartments, nestled amongst 2 acres of lush rainforest, with absolute beachfront access making it an exceptional holiday destination for families, couples and groups. With one of the best surf beaches in Caloundra on the Sunshine Coast, beautiful Moffat beach is only metres away. Sit back and enjoy the peace and tranquillity of Raintrees Resort, tucked away from the hustle and bustle of city life. All you could wish for in the perfect getaway with rainforest, beach, and places to eat out within easy walking distance. Our main pool has a water slide and is heated to around 28C degrees. Once you have arrived you just will not want to leave. Many of our guests continue to come back year after year!